Showing his continued support for his disenfranchised supporters, Bernie Sanders released a harsh statement against this past weekend’s events at the Nevada Democratic Convention. The statement comes on Tuesday May 17th, a day of two democratic primaries in Kentucky and Oregon. 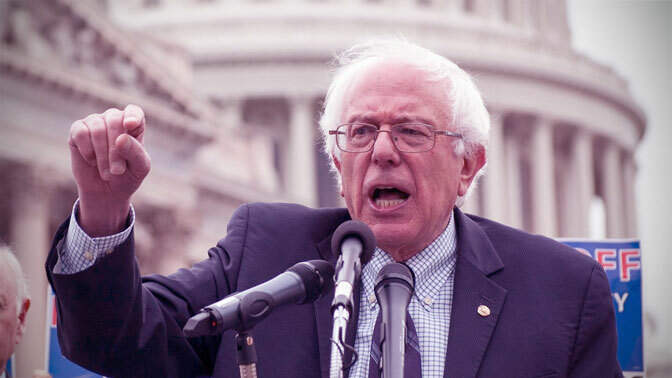 “It is imperative that the Democratic leadership, both nationally and in the states, understand that the political world is changing and that millions of Americans are outraged at establishment politics and establishment economics. The people of this country want a government which represents all of us, not just the 1 percent, super PACs and wealthy campaign contributors. “The Democratic Party has a choice. It can open its doors and welcome into the party people who are prepared to fight for real economic and social change – people who are willing to take on Wall Street, corporate greed and a fossil fuel industry which is destroying this planet. Or the party can choose to maintain its status quo structure, remain dependent on big-money campaign contributions and be a party with limited participation and limited energy. “Within the last few days there have been a number of criticisms made against my campaign organization. Party leaders in Nevada, for example, claim that the Sanders campaign has a ‘penchant for violence.’ That is nonsense. Our campaign has held giant rallies all across this country, including in high-crime areas, and there have been zero reports of violence. Our campaign of course believes in non-violent change and it goes without saying that I condemn any and all forms of violence, including the personal harassment of individuals. But, when we speak of violence, I should add here that months ago, during the Nevada campaign, shots were fired into my campaign office in Nevada and apartment housing complex my campaign staff lived in was broken into and ransacked.